Are wagyu cows massaged and fed beer? Can you buy wagyu in the U.S? How do you pronounce wagyu? Which is better, wagyu vs angus? How much does Kobe beef cost? The word wagyu literally translates into Japanese cattle. That’s a bit of a simplification because it leads you to believe the cattle are purebred Japanese only. But they’re not. Some time ago, in the Meiji era, Japanese cattle were selectively bred with foreign cattle to product better-and-better beef. This is the wagyu you imagine (and from some incredible videos on YouTube). 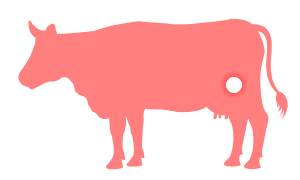 Kurogewashu – Japanese Black — This is the breed that 95% of wagyu is from. It has exceptional marbling to produce incredible flavor. Akagewashi – Japanese Brown — Less marbling than the Japanese Black, but still well marbled, but is leaner. Is it important to know the breed of the cow? Probably not, since most (almost 95%) top-end wagyu found in Japan is from the Japanese Black cow. But I want to really understand that Japanese ranchers really, really go the extra mile to raise the absolute best beef they possibly can. This video does an excellent job showcasing this. You’ll see restaurants outside of Japan using the wagyu name. For the most part, this is not authentic wagyu like you’d find in Japan. The U.S. to some degree, but mostly China and Australia, are growing cattle bred from Japanese cattle, but the pedigree is lower. Plus Japanese ranchers don’t cut corners to save money. The gentle care, attention to detail, and inability to settle for anything but the best means you’ll find true, proper wagyu only in Japan (except very rare instances in the U.S. through co-ops). If you’ve read up to this point then you know this is actually easy to answer. Kobe beef is wagyu. It’s wagyu bred and raised in Tajima with a very, very strict regimen to ensure nothing but the most perfect beef possible (Kobe is the capital of Tajima). This means all Kobe beef is wagyu, but not all wagyu is Kobe. 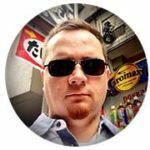 With that out of the way, let’s talk about something more important to know; the grades and ranks of beef in Japan. You may have heard of the legendary Japanese A5 wagyu. The world’s most perfect, and expensive, beef. But do you know what the A5 stands for? It’s a combination of the yield grade and quality grade. This is a standard measuring cutability; an index that indicates the percentage of meat taken from the carcass. This scale is A, B, and C; where A is the highest yield. It’s important to know yield doesn’t really affect the taste but rather cost; as it evaluates the edible portions. This is the important part. The quality grade evaluates the marbling, color, gloss, and texture of the meat. This is on a scale of 1-5, 5 being the best — and it is not easy to attain this grade. Less than 3% of all wagyu produced in Japan will attain this prestigious quality score. So now you know about the cattle, the rancher’s care, and the quality scale. It’s almost time to discuss the various cuts of beef and what they are in Japan. Before that though, here’s an excellent video showing the incredible A5 wagyu being prepared teppanyaki style. If you love beef, this is going to make you drool. The loin is cut from the large back muscle, but if it’s from the lower back, it’s called sirloin — and is the most popular cut worldwide for its wonderful marbling and flavor. The finer the marbling and texture, the higher the quality. This cut is amazing when sliced ultra thin for shabu-shabu, or even in yakiniku. But it really is best when cut thick for steak. Wagyu sirloin is the cut you imagine when you think of high-end steak houses, or teppanyaki, in Japan. The ramjiri cut is sirloin, but closer to the rump. It retains the incredible flavor but doesn’t have quite the potential and spectacular appearance of a perfect sirloin. This is an excellent way to get close to the best flavor without paying full price. Ramjiri is great as a steak and you’ll find high-end yakiniku restaurants using it too. This is the ribeye cut. The tender area connected to loin, but lower down over the ribs of the cow. This is often the prize cut at many quality steakhouses and yakiniku restaurants in Japan. It’s the most expensive cut along with tongue. The marbling, tenderness, flavor, and texture are unmatched. An A5 rib core cut is the stuff of dreams. Rib maki is the horseshoe-shaped cut surrounding rib core. It’s another prize cut for yakiniku restaurants and meat lovers looking for the highest quality. Rib roll tends to yield smaller cuts so it’s not found in steakhouses often. Interestingly, it is sometimes used in beef sashimi. Filet is the thick-side of tenderloin (the thin-side is filet mignon). 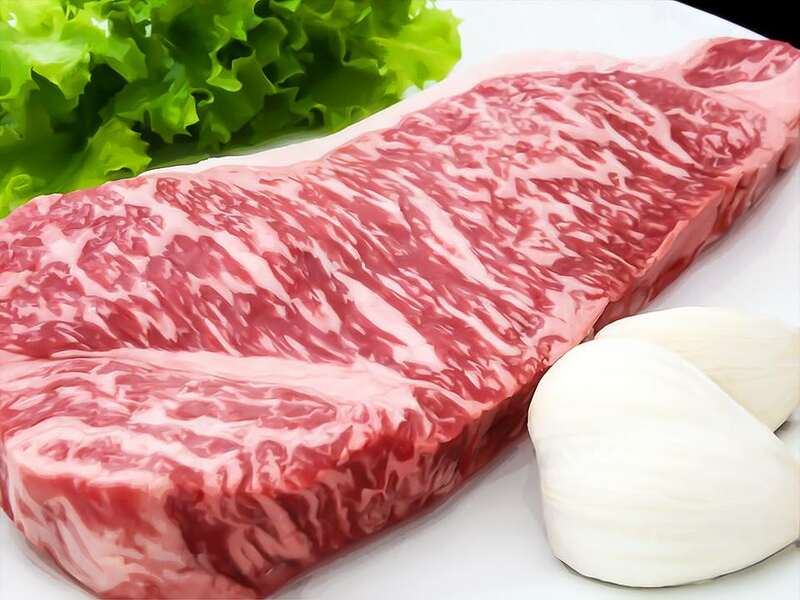 It is a lean cut with less marbling, but an exquisite aroma and tenderness. It is wonderful for teppanyaki, where a thick cut cooked by a specialist is an art form to marvel at. Sometimes you’ll find this cut used in beef cutlets too, and it’s absolutely amazing. This is the rarest and most expensive cut of wagyu you can find. It’s the thickest portion of the tenderloin so there is only a small amount per cow — roughly only 2kg per cow! The weird name is from a French politician who apparently loved this cut the most. The marbling and flavor are perfect for a beautiful steak, but some of the most top-end yakiniku restaurants may use it too. Katashin is a particular chuck portion in the center “eye” of the chuck roll, also referred to as chuck eye log. This particular cut is sought after by yakiniku and steak lovers who are also budget-conscious — as it retains a great deal of flavor at a mid-range price comparatively. You will see this on yakiniku menus as rosu (ロ―ス). Interestingly, along with sirloin, it is used to determine the rank of beef. Zabuton is the outside of the chuck roll, also known as chuck flap tail. It’s another prized cut because of the incredible marbling and intense flavor. In fact, zabuton is one of the most marbled cuts you can find. This is the yakiniku cut you’ll hear stories about — or watch travel YouTubers gush over. It’s the “melt in your mouth” cut that is simply insane at the higher ranks of beef. Sankakubara is a triangular chuck flank cut, also known as chuck rib. It has gorgeous marbling much like zabuton, but the location means smaller cuts. These are perfect for yakiniku and even in sashimi. This is one of those cuts that when grilled just melts away as you eat it. Simply amazing. Brisket is the “other side” of sankakubara and has very little marbling. The lean, chewy texture means it’s usually cut into thick chunks and used in stews. However, some yakiniku shops will cut this super thin to aid in chewing — making it one of the most affordable cuts you’ll find in yakiniku restaurants. And if it is from a high-grade cow even this cut is delicious. Also known as chuck tender, this cut is named after the togarashi red pepper because of its shape. In some ways, it looks similar to a tenderloin (filet). It is a lean cut with an elegant flavor that comes from the net-like marbling and is best enjoyed when cooked rare or medium-rare. It’s also a reasonably priced cut, somewhere mid-range. Also known as top blade, misuji literally translates to three lines. This is due to the three lines of sinew running through a cross-section of this cut. The marbling is less net-like and more streaked helping to form a very tender cut. Some yakiniku restaurants will cut this extra thin to accent just how tender it can be. Grill lightly to just start melting the fat and you’re in for a real treat. Moving back on the cow, the rump is hindquarters cut connected to sirloin. It’s very lean meat but does retain some marbling. This makes for a wonderfully rich flavor and is actually more tender than it appears — compared to non-wagyu cattle. This cut is best for thick-cut steaks but you’ll find it in use in sukiyaki, shabu-shabu, and yakiniku as well. Located slightly further back than rump, ichibo is a rare cut with superior marbling considering the area of the cow it is from. The name comes from the “H” bone shape of the area is it cut from — the hip bone. This cut is phenomenal as steak or yakiniku, but you’ll sometimes find it in tataki dishes as well. Uchimomo, also known as top round is a cut from the inside of the thigh muscle of the hind legs. Notably, this cut is also considered when determining the rank of the beef from a particular cow. High grades can have decent marbling, but this tends to be a leaner cut with some texture. Avoid overcooking as this toughens the meat and exposes a rough texture. Great in yakiniku where you can easily control the grill time. Sotomomo, also known as outside round (or bottom round), is a cut from the outside portion of the hind legs. Generally, cuts from this area are tougher, leaner, and have a rough texture. This makes them perfect for stews, but some yakiniku restaurants will slice this really thin — and the deep, rich, flavor is excellent when grilled carefully. This is another way to save some money but still say you’ve eaten proper wagyu in Japan — since it is relatively affordable compared to the other cuts. Shinshin is a cut from the middle hindquarters area of the inward thigh. It appears to be tough, but it’s actually quite tender — though it does have a rough appearance. High-grade cuts will have some good marbling. The flavor is light and is a welcome change of pace during yakiniku courses, or if you don’t want to feel heavy after a big steak. The price is reasonable, mid-range comparatively with the other cuts. Tomosankaku, also known as tri-tip, is cut from the hind thighs, but specially picked to increase marbling. The fat marbling in this cut melts at a low temperature, much like other highly marbled cuts — making it not only a fantastic yakiniku meat but amazing in sashimi (or tataki). Tatebara, also known as short rib, is from the inner side of the ribs near forelegs. 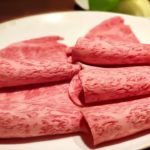 It is probably one of the most popular cuts at yakiniku restaurants throughout Japan — you’ll find it called karubi on the menu. This cut also shows how immense the difference is between each grade of beef. The marbling in an A5 tatebara cut is extraordinary. The buttery-rich flavor, the melt in your mouth experience, is what the legends of yakiniku are born from. Higher grades of this cut increase in price very quickly and the top-notch grades are very, very expensive. Nakaochi, also known as rib finger, is the meat between the rib bones. It’s a tad tougher than tatebara but incredibly rich in flavor. When used in stews it toughens a bit more. But when lightly grilled, to let a crisp form but remain medium-rare, the flavor is amplified and it becomes quite tender. This is another staple at yakiniku restaurants where you’ll sometimes see it listed as nakaochi-jou-karubi. Harami, also known as outside skirt, is a cut from the inner rib side part of the diaphragm. Since the cut is a “resting meat” taken from a location not connected to the bone, it’s often considered horomon (the innards) — though it is muscle rather than the intestine. The flavor is deep, bloody, and has a slightly chewy texture. It is especially popular on yakiniku menus of all ranks. Sagari is another cut from the diaphragm area. The texture and taste are even similar to harami. However, it has less marbling and a lighter flavor. Freshness is more important for this cut — sagari can’t rest long before it develops a smell. You probably won’t see this cut on yakiniku restaurant menus because it’s often lumped together with harami. So keep in mind that when you order harami, it may be sagari. Tanmoto is the root portion of the cow’s tongue — the base, furthest back in the throat. This really is the prize jewel of Japanese yakiniku restaurants and it always tops the list as the most popular cut. This portion of the tongue doesn’t move much so it is very tender and surprisingly well marbled too. Good yakiniku restaurants will serve this in a nice, thick cut so you can grill the outside crisp and leave the inside medium-rare. I know it may seem strange to be eating cow tongue, but if you’re going to try it, this is the cut to sample. Tansaki is the front, or end, of the tongue. Since it moves more this part is lean, less marbled, and chewy. Normally a yakiniku restaurant will cut this extremely thin and pile green onion and sesame oil on top. This cleanses the flavor and draws out a more savory flavor from this cut. Despite being less popular than tanmoto, this is still incredibly popular. You may want to arrive early in the dinner hours to ensure you can get some before they sell out. Yoroniku is an award-winning A5 wagyu yakiniku restaurant with a pure focus on impeccable atmosphere and unbelievable Japanese BBQ flavor. 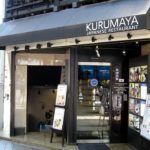 Imafuku is a Michelin-starred wagyu shabu-shabu and sukiyaki restaurant specializing in top-notch quality dining in Minato, Tokyo. 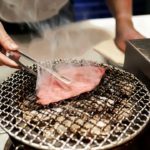 Sumibiyaki Yakiniku Nakahara is a top-end A5 wagyu yakiniku restaurant specializing in perfecting the yakiniku grilling experience in Chiyoda. Oh yea. Probably the most healthy in the world. Both from the perspective of the cows themselves are exceptionally cared for. But also there is a special gene in Japanese cows that changes the fat to unsaturated — and also decreases the melting point to where you can feel it melt just by touching it. So this is an interesting question. It’s easy to imagine the lengths a Japanese rancher would go to raise the absolute highest quality beef possible. Here’s what I could find. No, it isn’t typical for wagyu to be fed beer — though some ranchers have tried it to increase appetite and thus, increase fat. But the massage part is true, especially in the winter. Now, this isn’t for all wagyu, but some ranchers with smaller farms will massage their cows to keep them from cramping — which toughens the meat. Yes! You actually can! Costco sells a 12lbs A5 wagyu ribeye for $999.99. They’re an authorized distributor of Kobe beef directly from Japan. It’s frozen and vacuum sealed to preserve quality — and is the top-rated wagyu on Amazon. This wasn’t always the case, and it is still somewhat rare. But in 2012 restrictions were lifted and shipping methods approved by Japanese wagyu producers. Pronouncing wagyu 和牛 (わぎゅう) is actually quite easy. The wagyu phonetic sounds like: wah-gyou. You can hear it pronounced in native Japanese here. This is a strange question. Better is in the eye of the beholder. Some would believe the black angus is from Texas. Nope. It has origins in Scotland. Obviously, pure, traditional wagyu is only found in Japan. Angus is a leaner meat. It has marbling, but nowhere near the same amount as high-grade wagyu — but of course this is reflected in the price. Also, wagyu fats are unsaturated and have a very low melting point — which gives it that melt in your mouth feel. But some people don’t like that and believe wagyu to be too oily — therefor preferring angus to wagyu (even though there are lean cuts of wagyu available). Either way, there isn’t a real competition here. Angus for some, wagyu for others. Angus is definitely cheaper, but that doesn’t mean it isn’t also delicious. The price of Kobe beef really is incredible. I suppose when you think about all the care and time it takes to meet their ultra-high specifications. Kobe beef will run around $110 per pound (source). 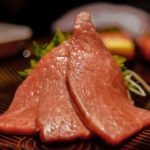 I hope this guide helps you learn everything you ever wanted to know about wagyu in Japan. Up next I’ll be adding more top-end wagyu restaurant recommendations so you can discover the absolute best there is.